The Swedish foursome Korea was founded by the Ehrnstén brothers in 2003. After they completed the line-up they hooked up with Blate Althen and he produced the self-titled EP. Korea played some shows in Sweden and now it's time for their first full-length album For The Present Purpose. They kick off with Insufficient Karma, a slightly melancholy tune. First more mid-tempo they later speed up a bit... A catchy tune with crunchy riffs. Electronic sounds and heavy riffs are combined with distorted vocals for STHLM Psycho, but even in this distorted version the vocals carry a sad note. And again the melody can hook you up easily. One of my favorites is Save Your Pain, even if I can't say why... Somehow it reminds me of Tiamat's Wildhoney... Less heavy, more alternative rock... Perhaps it's the songs vibe... Anyway, very cool. Same can be said about Rebound. A bit different is Me vs.You... This one has a slight pop appeal, but also this sadness in Michael Ehrnstén's vocals. A heavy, danceable tune with electro sounds is GPHH38 - which isn't bad, coz it adds some variety to the album. 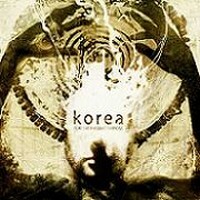 I recommend fans of A Perfect Circle and atmospheric rock to check out Korea, even if the have a melancholy touch.